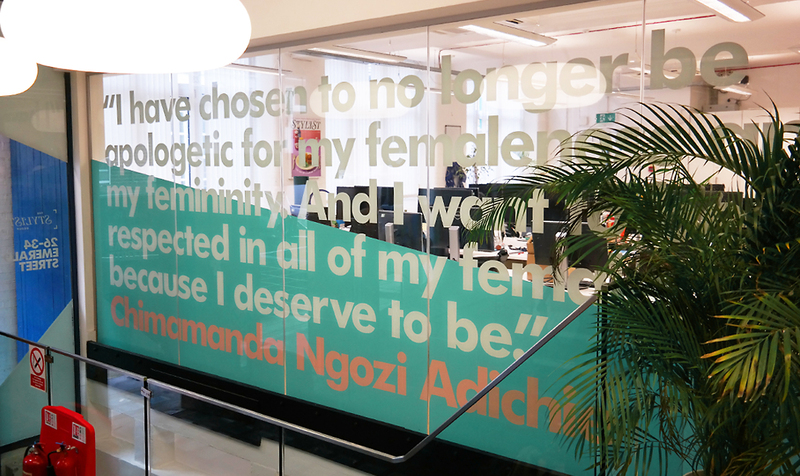 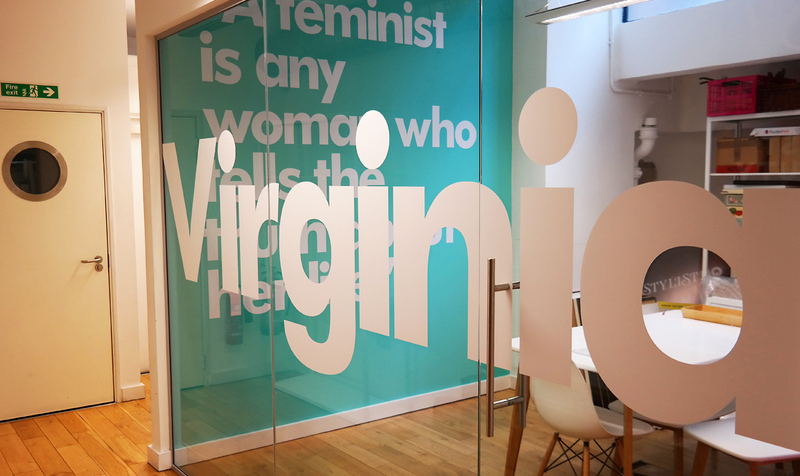 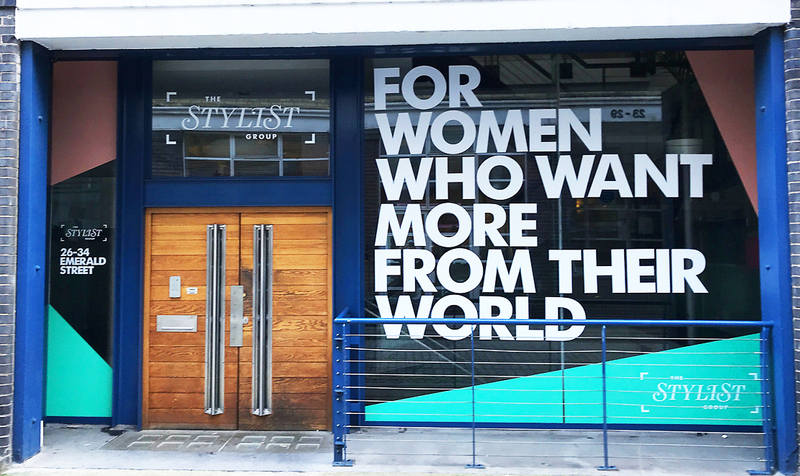 We recently printed, produced and installed internal and external office graphics for Stylist Magazine’s head office in London. 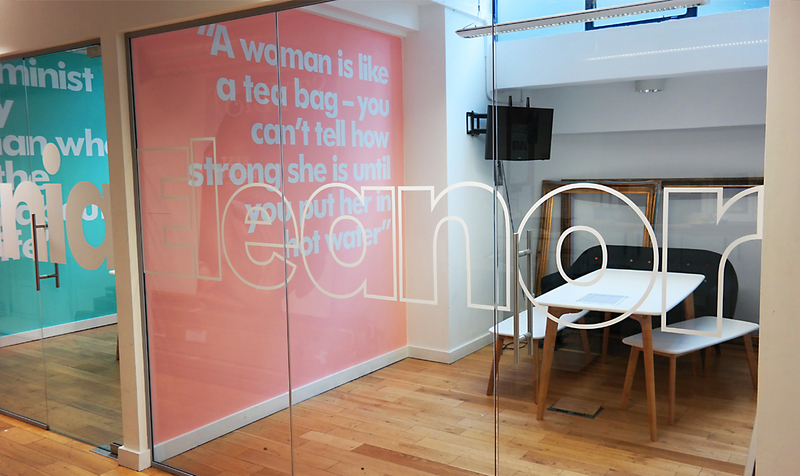 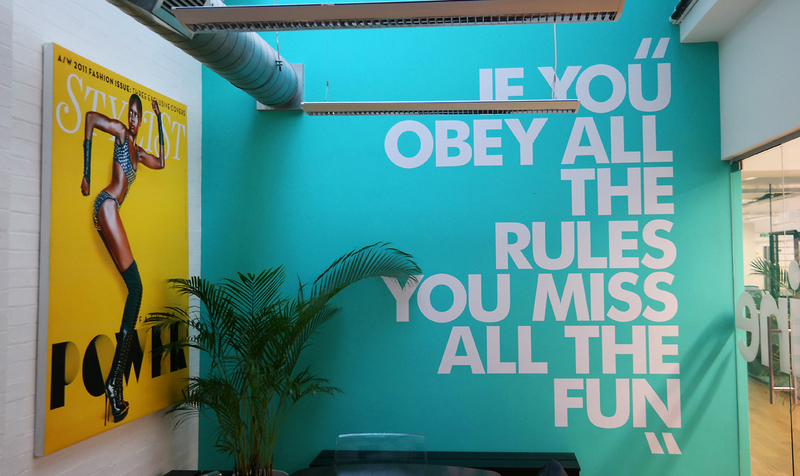 The crisp text on top of the great colour scheme gives the office a simple but clean and effective look. 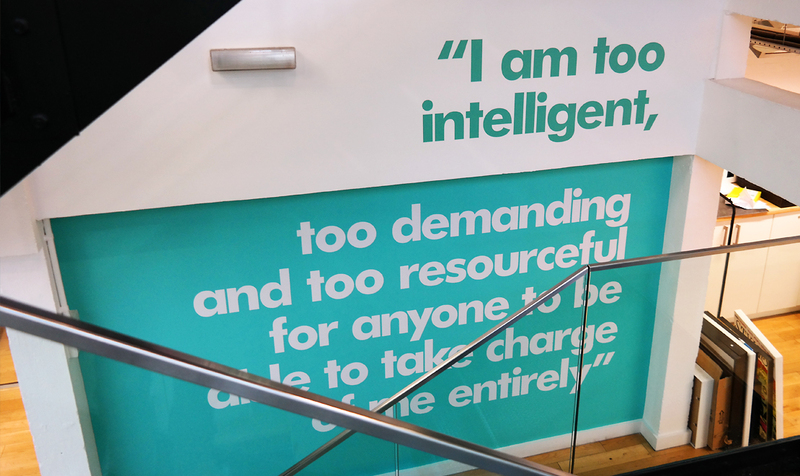 Vinyl cut white text graphics applied to painted walls, and ultra clear vinyl reverse printed CMYK + white ink onto the windows.